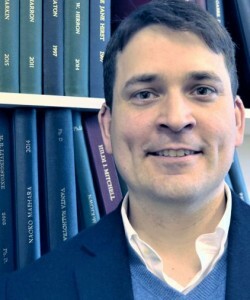 Dr. Rester is exploring “the nature of religious war among the Franciscans in the sixteenth and seventeenth centuries as it was often expressed within the broader structure of a Just War theory as developed from the patristic and medieval teachings.” His responsibilities include translation as well as research directed toward the production of a monograph. Also worth noting is the imminent release of the firstfruits of an extensive translation project that Dr. Rester has been involved in, the publication of an English-language edition of Petrus van Mastricht’s Theoretico-practica theologia (1698). The first volume, Theoretical and Practical Theology Volume 1: Intellectual Prerequisites, is slated for release soon.